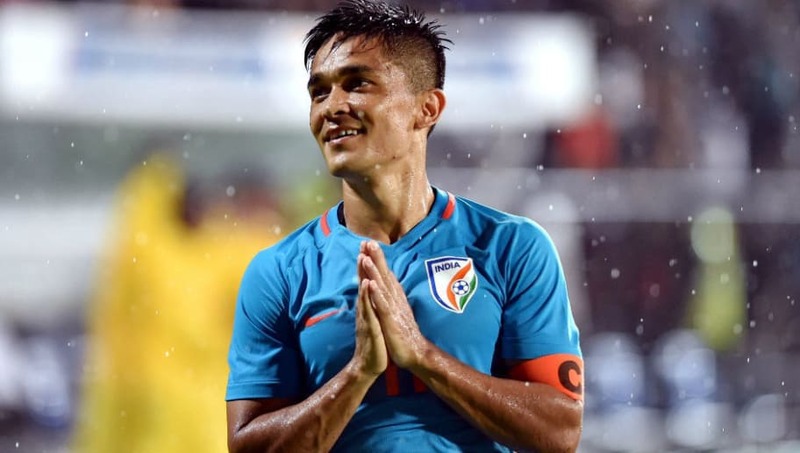 ​​Indian national football team's captain Sunil Chhetri will be awarded the prestigious Padma Shri, the fourth highest civilian award by the Government of India today to honour his distinguished service to Indian football. The Home Ministry gave information of the same via their press release which consisted of all nominees for the prestigious honour. With this award, Chhetri now joins an elite list of footballers like Gostha Pal, Sailen Manna, Chuni Goswami, P.K. Banerjee, and Bhaichung Bhutia who have been conferred with the Padma Shri. Other legends of Indian football like IM Vijayan, Peter Thangaraj, Prasun Banerjee, Bruno Coutinho and Subrata Pal have been conferred with the Arjuna award in the past. This one is also because of mom, dad,Sonam,Bandu, Lamba, Kunaal and all my friends and family who have stood by me through thick and thin, always pushing me on. I'll end with a promise of being hungrier every single time I step on the pitch for country and club. And trying to be a better human being every single day. We are massively proud of your achievements.